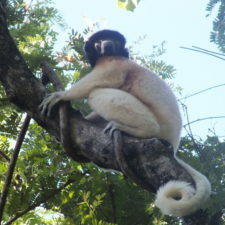 Our program generally focuses on primate research and conservation, with a focus on lemurs. 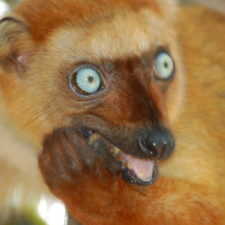 We are concerned with how lemurs negotiate survival and reproduction in dynamic environments. 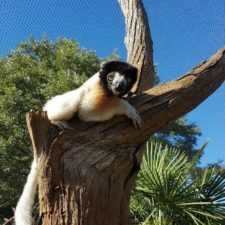 The majority of our research is conducted with red-bellied lemurs (Eulemur rubriventer), but we are also involved in research with other species, such as the brown mouse lemur (Microcebus rufus), Milne-Edwards sifaka (Propithecus edwardsi), and Diademed sifaka (Propithecus diadema). 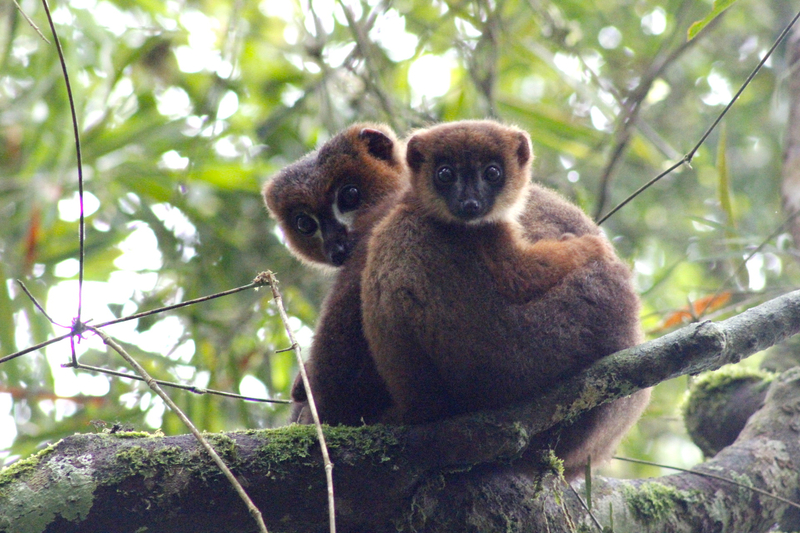 Most work is conducted in Ranomafana National Park in southeastern Madagascar, but we also do work at Kianjavato and Tsinjoarivo with our collaborators. 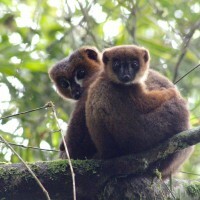 Adult male red-bellied lemur Atody with infant Ovy, showing off an example of allomaternal care. 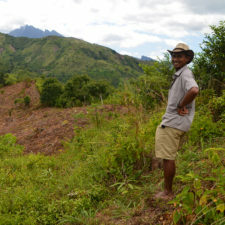 Photo by Pierre Lahitsara, as part of a face recognition project. We engage directly with community members in several ways. We hire local experts to help us conduct our research. We train students and locals without formal education in scientific principles and date collection. We collaborate with researchers and Centre ValBio staff on grant proposals and research. And we communicate our research at all stages through disseminating publications, giving presentations to officials, tourism guides, faculty, and students, and co-mentoring students.